This Friday March 15 in Paris, a group will start preparing the international exhibit on Mother Maria Skobtsova, orthodoxie.com reports. The exhibit will be held in August in Rimini, Italy. Following the idea proposed by Ukrainian philosopher Alexander Philonenko, it will be part of the yearly Rimini cultural festival organized by Communion and Liberation (a Roman Catholic movement). Groups of people attracted by Mother Maria have started to meet in Ukraine, Belarus, Russia and Italy. The French ACER-MJO association received an invitation to create a preparation group, an excellent opportunity to know more about Mother Maria’s work, and also to meet with other Orthodox and Roman Catholic movements. The Rimini festival will be celebrating its 40 anniversary this year. It is one of the largest cultural events in Europe, visited each year by about one million people. It is organized by a Roman Catholic laity movement, but is not limited to strictly religious topics. For the last ten years, it has been offering exhibits on the Orthodox Church and Eastern Christianity, for instance on Dostoevsky, on the 20th century new martyrs, or on Metropolitan Anthony of Sourozh. 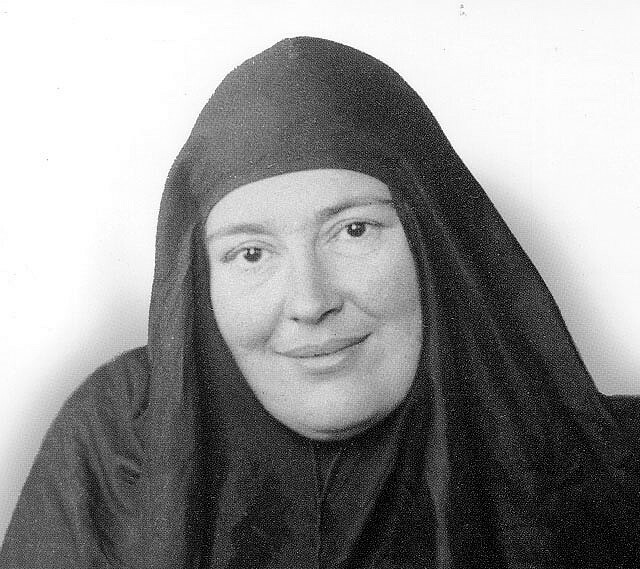 The exhibit on Mother Maria Skobtsova will not be limited to a biographical and historical presentation, but it will try to discern in what way the testimony and work of this saint are so important, especially in this time of crisis we are currently experiencing. This festival is also a large international gathering. Participants can offer their services as guides to the exhibit and present it to visitors. It is also possible to go as simple volunteer and help in different tasks, at the reception, restaurant, etc. Alexander Philonenko is responsible for the content of the exhibit. He will rely on ideas and material submitted by groups gathered in various cities. The design will be done by Ukrainian artist Oleksiy Chekal. The final result depends therefore on whoever is interested in this project and who is willing to contribute. The meeting is open to all who are interested in this project.